Scottish rockers Wet Wet Wet had a massive hit in the 90s with their worldwide smash Love Is All Around. Well it’s not just love that is all around us, trucks are too! Trucks play an essential part in keeping the UK running. Not only are they used to move around 85% of goods across the country, they also help relocate construction vehicles, speedboats, hazardous waste, steel pipes, furniture and more. As a company we understand how vital beavertail trucks and curtainsiders are for businesses of all shapes and sizes. But there are so many magical facts about trucks that many people do not know about… until now! Here are six sensational facts on our favourite mode of transport. Trucks have been around for a long time, but do you know when and who is created with producing the very first truck? You must go back to 1896 when a young German engineer Gottlieb Daimler first created a four-horsepower engine. His vehicle came complete with two advancing speeds and changed the motor industry for ever. Daimler loved creating vehicles. In 1895 he produced the first motorcycle. Two years later he created a taxi! Daimler was a true pioneer. We all know that trucks have the power to shift huge amount of goods and materials, but not many people know that trucks can also reach speeds of up to 406 miles per hour. Well, the Hawaiian Eagle fire truck can! The emergency vehicle is equipped with not one but TWO turbojet Rolls-Royce engines which boast 6,000 horsepower EACH! Now that’s what you call a response vehicle. You get what you pay for when you buy a new or used truck from Mac’s Trucks. However, would you be prepared to pay one million dollars for one? That’s what a Malaysian Sultan shelled out for a purpose-built super truck. The truck is fit for a king with the rig containing a stone-topped kitchen area (complete with an integrated barbecue), six-camera CCTV system, two flat screen TVs, a sleeping chamber with a double bed and 72,000 golden stitches in the imperial seats. 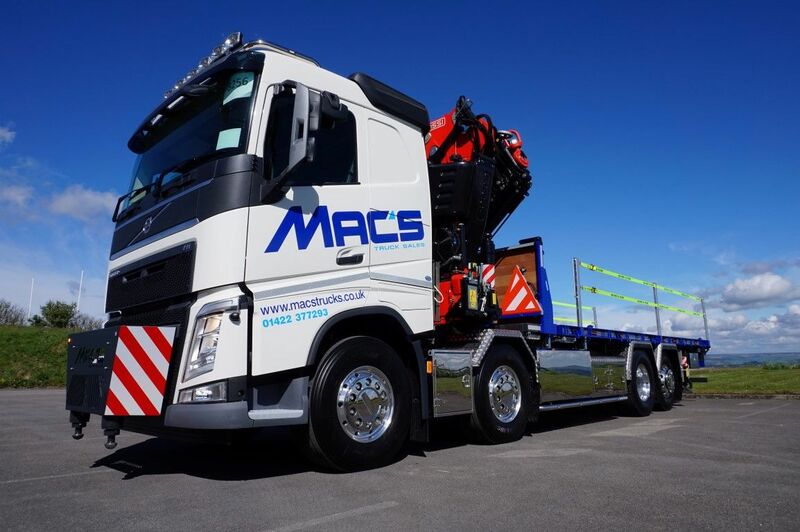 While all the new and used trucks we sell at Mac’s Trucks are in immaculate condition, they will come at a fraction of that price. Queen’s legendary frontman Freddie Mercury famously said “The bigger the better, in everything”. Well he would be immensely impressed by Mr John Atkinson. The Australian truck driver took control of the world’s longest road train in 2006 when he connected 112 semi-trailers to the back of his Australian-built Mack truck. The road train was officially measured at 1,474.3 metres long. This amazing feat down under truly illustrates the sheer power trucks can possess. The average truck in the UK has a longer lifespan than most celebrity marriages. Built to last the test of time and take on all challenges that come their way, trucks are magnificent machines. With the correct love and care a truck can remain a fully functional part of your fleet for decades. Take Willie Coe Jr for example. The American truck driver got the keys to his vehicle in 1986 and it was still fully operational until 2009. During those 23 years the driver from Florida had amassed a phenomenal 3,000,276 kms. To put that in context, Mr Coe Jr could have driven to the moon and back FOUR TIMES! What a machine. Did you know the term lorry started life on the open waves? While truck is an American term for our good old lorries here in the UK, a lorry first came to prominence in 1611 referring to a small wheel which at the time was used for canons on warships.